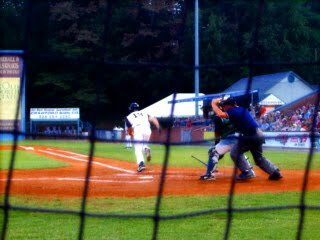 Abbington Green Bed & Breakfast Inn, Asheville NC: Asheville Bed and Breakfast is Happy that Asheville"Tourists" Baseball Season Has Five Dates with Fireworks, too! 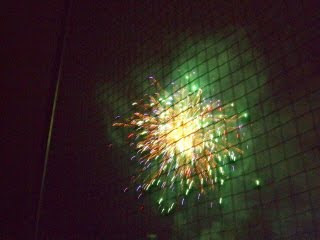 Asheville Bed and Breakfast is Happy that Asheville"Tourists" Baseball Season Has Five Dates with Fireworks, too! Warmer weather is here...and what do you think of when the weather is warm? Why Baseball, of course! And our Asheville bed and breakfast is always happy each Spring when the Asheville Tourists Baseball Club season gets underway! Yup, you've got it! 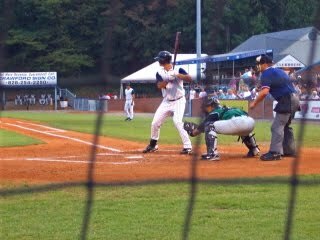 Asheville NC has a baseball team! 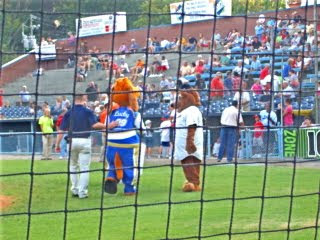 And it's great fun to attend "minor league" games. Why? Because anything can happen. Ever wondered what it's like to see a 95 mph fastball from the on-deck circle? When was the last time you saw an inside-the-ballpark-home-run? Well, "sports fans" this is the place for you! Terrific seats, low price and a laugh or two with the Tourists Ball Club mascot, "Teddy Tourist". And the Asheville Tourists' home is McCormick Field that originally dates from 1924. Of course, it's been renovated recently and the food is great, too. You may also recall McCormick Field as the place where, in the movie "Bull Durham", the character played by Kevin Costner hits his 248th career home run. Sure enough, that was Asheville! So book your dates to stay at our Asheville bed and breakfast in Asheville's Montford Historic District and plan to get out to the game! "Buy me some peanuts and cracker jacks. I don't care if we never get back..." You'll be humming the tune and remembering special moments from your great weekend of fun and baseball in Asheville. See you soon!